With so many travel-rewards credit cards offering so many miles as sign-up bonuses, some cards just don’t get the attention they deserve. When 50,000 miles are the new normal, and bonuses of 75,000 and 100,000 miles define the high end, it’s easy to overlook cards with less eye-catching incentives. That’s certainly been true of the credit card linked to Alaska Airlines’ Mileage Plan program, the Bank of America-issued Alaska Airlines Visa Signature card. For most of the past few years, new customers were offered a relatively paltry 25,000 miles to sign up. And the $75 annual fee was not waived for the first year, as it is for many other rewards cards. If you’ve been waiting for a better reason to sign up for the card, now you have one: The sign-up bonus has been upped to 35,000 miles. And that’s truly a sign-up bonus—the miles are awarded as soon as you’re approved for the card, not after charging a predefined amount within a set time period. Where many airline and hotel cards now come loaded with perks—elite status, waived fees, priority boarding—this one comes with just a single standout benefit, a $99 companion ticket. That’s nice, but hardly enough to put Alaska’s card into contention with airline cards that offer better bonuses, more benefits, and waived annual fees. Because Alaska’s Mileage Plan program is a contender. Although Alaska itself is a smallish carrier, its program allows members to earn and redeem miles with a robust lineup of partner airlines: Air France, Air Pacific, American, British Airways, Cathay Pacific, Delta, Emirates, Icelandair, KLM, Korean, and Qantas. That makes for a very useable program—which makes Mileage Plan miles valuable. This makes the program-linked credit card valuable, no matter how uninspiring its sign-up bonus or benefits. Sometimes it makes sense to apply for a credit card solely to earn the outsized sign-up bonus, even if the loyalty program it is linked to is less than stellar, value-wise. Get the miles, redeem them, and move on. Other times, however, you’re best served by getting a lackluster credit card because it’s affiliated with a program you can live with long term. 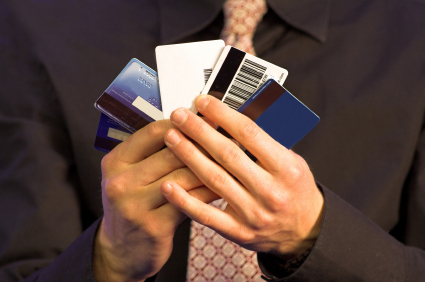 What do you look for in a travel-rewards credit card, a big up-front bonus or a long-term relationship?